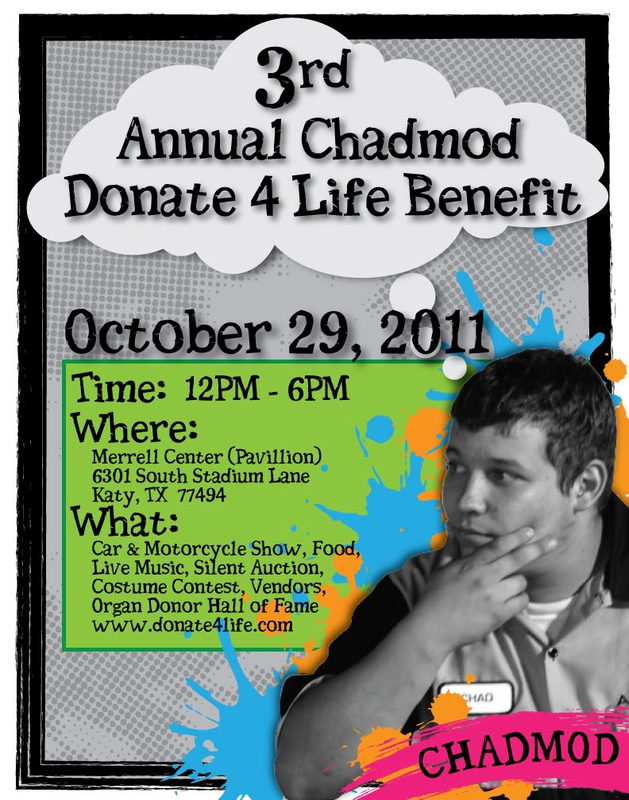 3 bands, BBQ, drinks, cars, motorcycles, blood-mobile, silent auction, costume contest, trophies, Organ Donor "Hall of Fame", Chadmod Vette and GSXR Motorcycle. All of his friends from EVER! Be on the look for the WHM Tent/WHM Parking Section! !